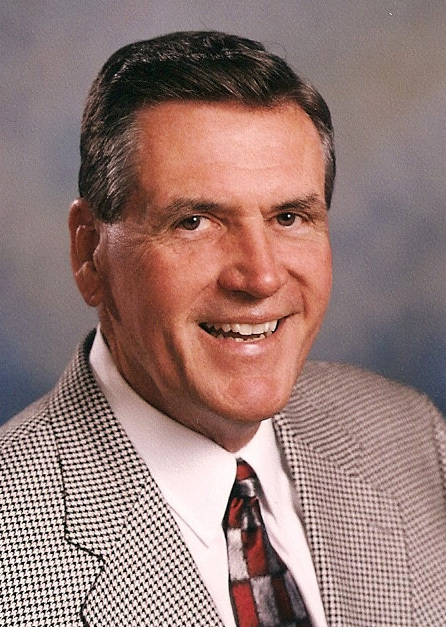 Dr. Robert “Big Bob” Gerety is our founder and the creator of the Robert G. Gerety Orthodontic Education Program for the general and pediatric dentist. In the curriculum that we teach today, students will learn the same philosophies, principles, and techniques that Big Bob developed and documented during his 35 years of teaching. Dr Gerety provided orthodontic education to over 12,000 students during the course of his career. He is known by his students as one of the finest orthodontic clinicians to have taught in this country. Big Bob was committed to a non-extraction approach to orthodontics, which is based upon Straight Wire principles. Dr. Gerety continually updated his methods by adding the latest and best innovations in dentistry. After completing his undergraduate degree from the University of Oklahoma, Dr. Gerety then attended the University of Tennessee Dental School. Immediately after graduating from dental school in 1965, he moved his family to Henryetta, OK, and established a flourishing dental practice there. In his own attempt to learn more about orthodontics, Big Bob became aware of the need for this specialized training for general dentists. He formulated a personal goal to learn orthodontics and to help other dentists learn, too. Dr. Gerety’s teaching career began in 1976, and in 1978 he taught his first comprehensive orthodontic program in Dallas. The course expanded into four cities by 1980, and it quickly expanded into cities all over the United States. The Gerety Orthodontic Education program became one of the most recognized, respected orthodontic courses available. Big Bob actually practiced what he taught, providing non-extraction orthodontics to his patients for 29 years and maintaining meticulous records of all of his cases. Big Bob retired from classroom teaching in 2009 when he was diagnosed with dementia. This did not deter him from his desire and dedication to teaching. Thanks to developments in technology, he and his wife Kay were able to continue sharing his orthodontic curriculum in a different manner. Together, they launched their website in 2010, proving that Big Bob’s passion for teaching orthodontics to general dentists was greater than his health challenges. In 2011, Big Bob’s Comprehensive Orthodontic course was returned to the live classroom by his wife Kay and an outstanding team of general dentists who are former students of Bob’s. Through Gerety Orthodontic Seminars, this team of professionals is dedicated to keeping Bob’s teachings available in the classroom. Big Bob’s support, experience, and guidance were crucial to the sustained successes that his programs are now having, both online and in the classroom. While we miss him terribly since his passing in 2017, we are all devoted to maintaining the same excellence, integrity, and commitment that we learned through the example of his life and his career. To Learn More About Big Bob Click Here to Visit “The History of Gerety Orthodontic Seminars” page on our website.